Create a cozy conversation corner while enjoying a steaming cup of coffee at your home with these square wood coffee tables. This collection features square shaped coffee tables with an exotic style that are perfect for convenient placement. A wide variety of robust wood adds strength and durability while giving a unique touch of nature to each piece of this appealing wood coffee table collection. Add elegance and lots of utility to your home with the Bryer Coffee Table. 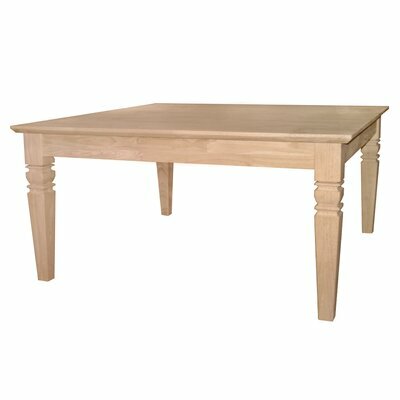 It is crafted from solid parawood; this lovely coffee table features solid shape and unfinished surface. You can finish it with your favorite color to match the color theme of your room. The X motif design on two sides of the table accents its rustic finesse. The huge bottom shelf provides sufficient space for keeping newspapers, magazines or gaming accessories. This simple and elegant coffee table is non-toxic and quite easy to assemble. Its superior quality construction and simple structure make it sturdy and highly durable. Bring home the Bryer Coffee Table and accentuate the elegance of your room. Elegance is the contemporary trend, and this coffee table promises to deliver what it stands for. 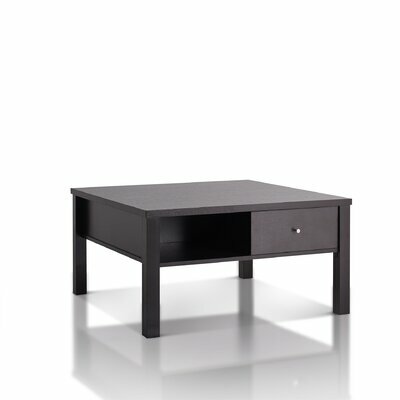 Offering stylish contemporary looks, the lovely Stefan Coffee Table is sure to make a great addition to your any home. It displays an understated and sleek profile that will accentuate the beauty of your living space. 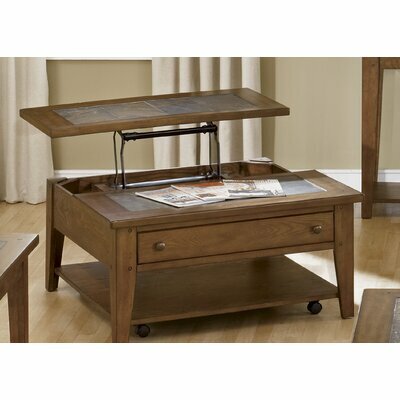 This coffee table has two roomy drawers that provide ample space for keeping your items. The drawers move effortlessly on double metal glides. Finish in the rich cappuccino; the gorgeous Stefan Coffee Table is an absolute delight to the eyes. 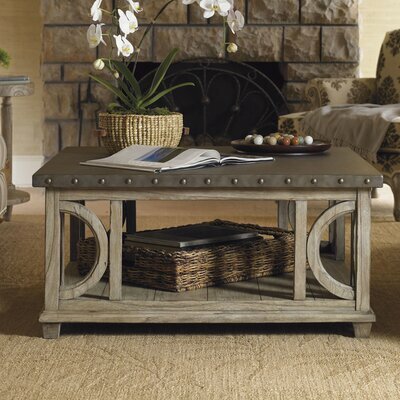 Accentuate the décor of your home with the updated casual look of Twilight Bay Wyatt Coffee Table. It features hammered stainless steel table top in square shape accented with pewter nailhead trim detailing on the edges. The base has a lovely taupe-gray finish. The distressed, weathered texture adds enchanting charm to its overall look. Straight lines and curvy motifs further adorn the base. Ideal as a centerpiece in your living room, this coffee table is sure to impress your guests. Product care: Wipe spills immediately. Maintain the regular dusting and clean with mild soap and water and dry thoroughly afterwards. Do not use strong chemical cleaners. 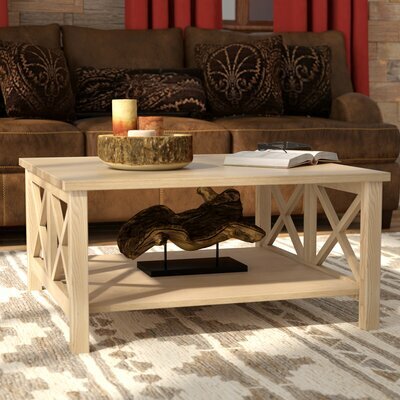 Gracefully crafted from solid wood for maximum strength and durability, the Payton Coffee Table is sure to last for many years to come. It features dazzling white finish and beautiful turned legs. It offers sufficient storage space with one drawer, slatted display shelf and a lift-top compartment. 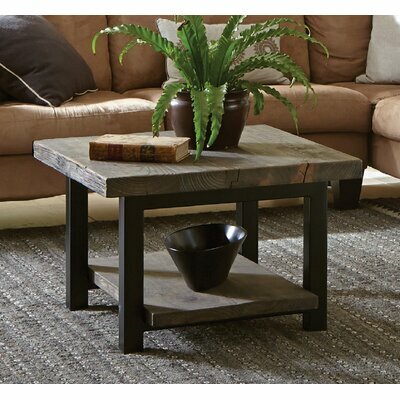 This versatile Payton Coffee Table is sure to become a perfect addition to your living room. Featuring rustic style and natural finish, the exquisitely designed Somers 27 Coffee Table will give a warm and elegant touch to your home. It is features reclaimed wood top and lower shelf with metal legs that promises many seasons of cherishable memories. High on style and utility, the Hearthstone Ii Occasional Coffee Table with Lift Top is an excellent piece of furniture for any room. It is a square shaped table that is engineered from manufactured wood and solid wood with the polished brown finish. Its modern sculptural style effect and zebrano accents on rich walnut veneers will earn you brownie points. This versatile coffee table comes with an outer shelf and a handy lift-top that lifts towards the straight edge providing you with the option of adjusting the height of the table top as per your need. 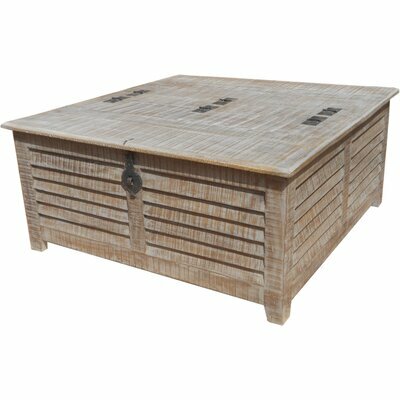 If you are fond of rustic style to decorate your home, then the Lowell Coffee Table is sure to fascinate you with its charming look. 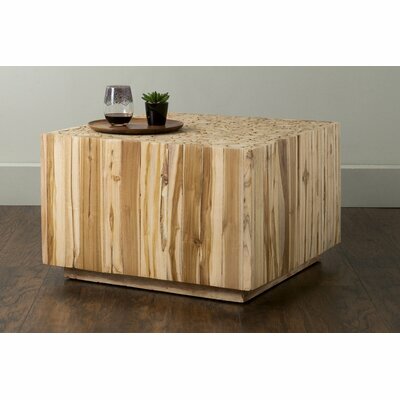 This majestic coffee table manufactures out of solid parawood for optimum durability and sturdy construction. The legs are beautifully designed into tapered style with graceful details. This square shaped elegant beauty features an unfinished surface that allows you to paint it in the color of your choice. Give an elegant touch to your room decor with the graceful yet stylish look of Troy Coffee Table. This square shaped coffee table features trim of leather inlay that give it a good look. Spacious storage provide sufficient space for placing multiple items like many household items. The exotic look of Augusta Coffee Table from the house of Jeffan will take your breath away. 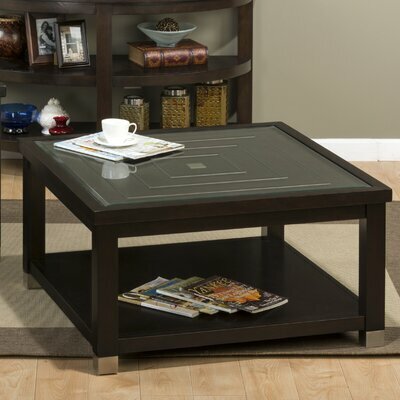 This gorgeous coffee table features square shaped top and cubic profile with solid base. It is made of all natural teakwood; its natural finish will complement any room décor. Add a style statement to your existing room décor with the trendy and graceful look of Warren Coffee Table. It is a square shaped coffee table that includes one bottom shelf for keeping decorative items, newspapers, magazines or gaming accessories for easy access. Crafted from poplar solids and oak veneers, the Jofran Warren Coffee Table is sturdy, robust and long-lasting. It features tempered glass top, sharp lines and polished nickel accents. Bring home this attractive coffee table and win compliments of your guests.